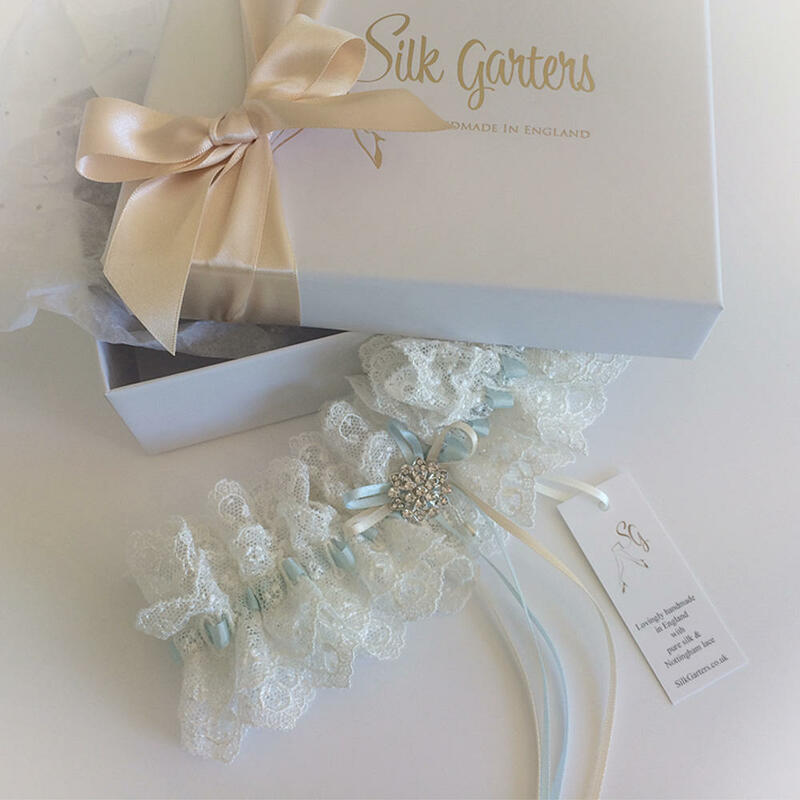 Beautiful shimmering threads, embroidered on a soft cotton tulle, to create a sumptuous ivory wedding garter. 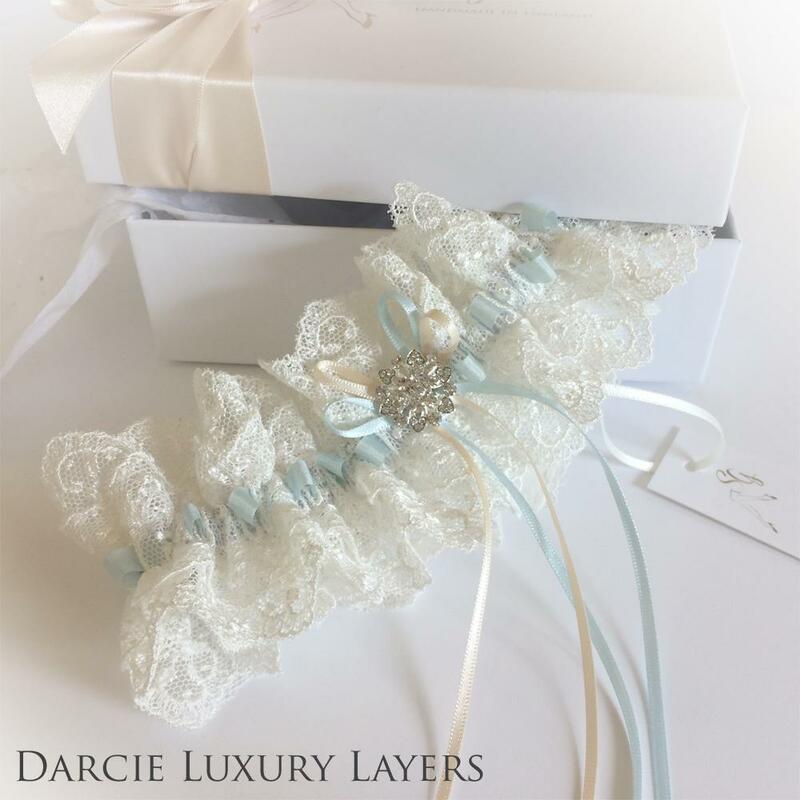 The slotted duck-egg blue silk ribbon creates a perfect 'Something blue', the fine double bows in champagne and blue a pretty lightness with a rich sparkling crystal. I just love making this gorgeous garter!